These basic decoupage supplies will make sure any Mod Podge project is a success. Not every project will require all of these supplies, but having them on hand will make your project go much more smoothly! Mod Podge Matte Acrylic Spray Sealer: An easy-to-use spray that protects paint, lacquer, varnish, stain, glue, wood and other porous surfaces. The spray creates a strong, crystal clear and non-yellowing acrylic seal, and it also reduces tackiness, a common issue with decoupage projects. Mod Podge Brayer and Squeegee: The brayer is used to smooth paper, fabric and other items onto a surface, providing the right amount of pressure to eliminate air bubbles and with no mess. The squeegee is used to press paper, fabric and other items into hard-to-reach corners. Mod Podge Silicone Craft Mat: The silicone mat is perfect for protecting your work surface. Glue peels right off of it for easy clean-up! Mod Podge Decoupage Brush Set: The short Gold Taklon bristles are ideal for ornate surfaces, and make pressing paper or fabric into creases and tight corners a breeze. These brushes are excellent for projects that require fewer visible brush strokes - optimal for high gloss and flat matte finishes. Mod Podge Foam Brush Set: Great for applying Mod Podge, this foam brush set has an applicator for any size project. 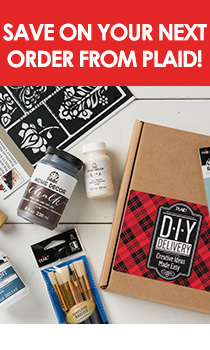 Many of these decoupage tools and accessories are available for purchase in our online store. Once you've procured them, try your hand at creating the projects in our eBook, Simple Decoupage Collage Art!